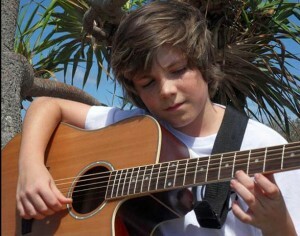 From the first song I heard Jordan Jansen sing I was convinced he was a future star! What I could not predict what how soon! Jordan has increased his fan base 100 times over since I was first introduced to him! In fact Jordan Jansen is what inspired this blog to be born! 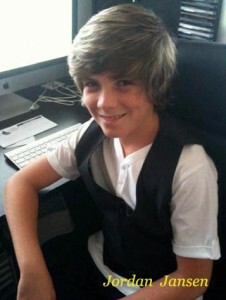 If you like what you find on this blog write Jordan Jansen and thank him for the true inspiration he is not only to his fans but to supporters like myself! Jordan Jansen on Today, then Singing his way to the USA! There is much excitement in the Jansen Camp this week as they prepare for the biggest adventure of Jordan Jansen’s lifetime to date! There is much excitement in the Jansen Camp this week as they prepare for the biggest adventure of Jordan’s lifetime to date. In just less than a week, Jordan will be flown directly to L.A. to meet with the record producers in the studio to record his first internationally released single which I’m told will be released immediately to the public. In addition to this major single release he will possibly be recording more original songs that will be later released. The US is in for a real treat, not only to hear Jordan at his finest, but to be able to meet him in person! Jordan is now more than just a You-Tube sensation. He is the real deal! Following his recording session, Jordan will be whisked away for some major meet and greets! Autograph signings, live performances, and giving some of Jordan’s US fans an opportunity to meet Jordan up close and personal. The management team has not disclosed all of the things that Jordan will be doing or where he will be appearing as some of those details are still being worked out! This week just before Jordan leaves for the US, Channel Nine’s Today’s Show team members will be pulling up in front of the Jansen home, flooding their living quarters with bright lights, reporters, and camera men! I’m sure if you live in Australia you will want to tune into this show as it will be his first major interview and official televised news release of this huge upcoming event in the USA. A few months ago I had reported that Jordan was working on a CD and that “Hallelujah” would be one of the songs recorded. I’m sorry to say that that plan was unfortunately scrubbed when the new and better opportunity for Jordan came along! I am most disappointed about this but who knows, if his new management team likes it enough or thinks it to be marketable we may still get that wish! If not we still have his video which I still promote on this site as one of my Jordan favorites! There is so much more that I would like to share with you, but that must wait until after his US appearance and proper clearance from the powers that be have been granted! I leave you today with this last interesting note! If you have long been a Jordan Fan, and have been backing and cheering him on, then all your efforts are soon to be paid off. This little Aussi is about to be a BIG Australian Star who will be taking the USA by storm! So batten down the hatches, fasten your seatbelts, and get ready for the earth shaking Jordan Jansen quake that is about to hit CA. Author RivenmasterPosted on May 8, 2010 November 4, 2010 Categories Featured, Jordan Jansen, Young Male Artists A-LTags Australia, boy, Electric Feel Management, Jordan Jansen, Los Angeles, singer, treble, youth13 Comments on Jordan Jansen on Today, then Singing his way to the USA! Sam Verlinden & Jordan Jansen featured in new YT Video! Today’s quick post is in support of the Haiti Relief Mission that is ongoing in many different ways throughout the world! You-Tube collaborator’s have made two videos to help keep the message in front of us and remind us of the pain and need of so many people who suffered and are still suffering due to the devastation of that one major catastrophe. Today’s video includes our very own Jordan Jansen and Sam Verlinden among many other You-Tubers who do an excellent job keeping this message alive! Enjoy it here and pass it along to others reminding them of this very special need! Congratulations on a great job Jordan and Sam! We are proud of the both of you for your efforts in this venture and the outstanding job you did performing in this wonderful video! 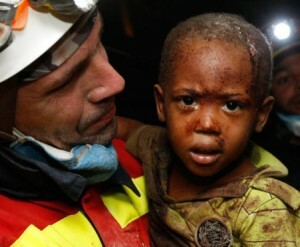 Let’s all dig a little deeper and pitch in! God Bless every rescuer and individual who are on hand in that country lending theirs to those who are hurting and in need! Thanks also to the editor of this YT video for your efforts in this second great work of art! Author RivenmasterPosted on March 29, 2010 November 4, 2010 Categories Featured, Jordan Jansen, Sam Verlinden, Young Male Artists A-L, Young Male Artists M-ZTags Haiti, Jordan Jansen, Michael Jackson, Sam Verlinden, Talent, We are the World, You Tube, youth2 Comments on Sam Verlinden & Jordan Jansen featured in new YT Video!